2018 was a year of growing communication, community and successes. We are happy to be working with so many outstanding people. Let’s run through some highlights. Oh, how we've grown. For a full list of staff see the Our Team. First, Charlotte Abele, a building scientist from France, with deep experience in research of moisture and enclosure durability, joined 475, starting a distinct technical department, at the start of the year. Then, Erika Mayer, with a substantial background in building sustainability and based in Montreal, started work as our product representative in Quebec and Ontario, in March. Jim Muhaw, who had been working parttime joined as a full-time member of the product consulting team, covering NJ, PA, and Mid-Atlantic, in May. At the end of the summer, Shaun St-Amour, with a degree in Wood Products Processing and extensive experience in Passive House trades instruction, started as our product consultant dedicated to western Canada. In October, the western region efforts grew further, with the start of Ian Nimmo, with a background in building energy efficiency, as an Account Manager supporting efforts in California, Oregon and Washington State. Finally, Ashlye Hodge, with experience in communications and marketing analytics, joined to become our Communications Manager, at the start of December. We are extremely gratified that the mission focus of the work 475 does, allows us to attract excellent talent of committed and thoughtful professionals. Providing best-in-class products that are suited to solving professionals real-world building issues is our obsession and in that cause, we were very happy to bring to market two new important products. In April, we launched VISCONN, a liquid air barrier, smart vapor retarder and WRB. Painted or sprayed, it provides simplicity, flexibility, and durability, integrating seamlessly into the entire family of Pro Clima adhesives, tapes and membranes. 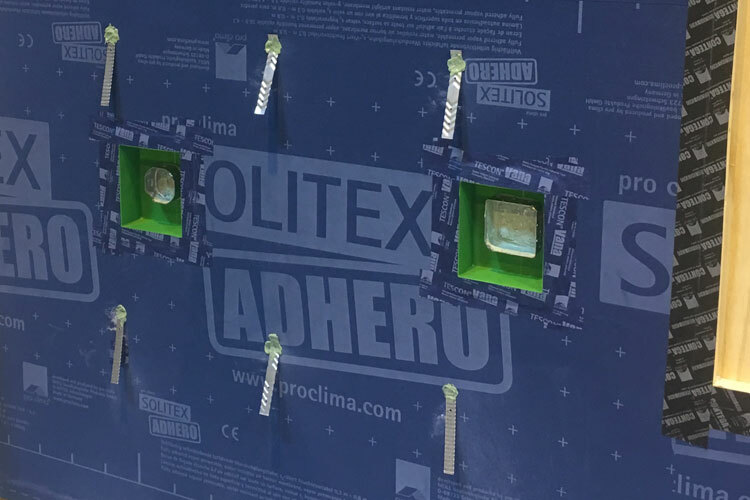 We quickly followed with ADHERO in May, a self-adhered version of our popular SOLITEX family of monolithic membrane WRBs. Waterproof, airtight and vapor open, it is coated with SOLID acrylic adhesive that allows for cold weather application and lifetime adhesion expected from Pro Clima. An important part of providing quality assurance is our ongoing effort to supply third-party testing of our products. In 2018 we were able to complete a number of notable tests. The Passive House Institute tested the INTELLO SYSTEM for airtightness - the most stringent testing of its type in the world - and were gratified to report that the system tested best in its class. We also tested the INTELLO SYSTEM per ASTM E2357 for airtightness, and again it performed extremely well, at a value 4X better than code requires. It performed so well it showed convincingly that you don’t need to tape staples, as is sometimes mis-assumed, to achieve Passive House airtightness levels. Similarly, the ADHERO SYSTEM was tested per ASTM E2357, and not surprisingly perhaps, it also tested extremely well - this time, so well in fact, it tested to the very limits of the lab equipment’s capabilities. This past year we’ve enjoyed supporting organizations and attending events that are leading the industry toward zero carbon and Passive House performance, From Better Buildings by Design in Vermont in February to the New Gravity Conference in Philadelphia in August to the Passive House Canada conference last November in Vancouver and dozens more in-between. We are thrilled to be part of a vibrant and fast-growing community fighting for high-performance building and against climate change. 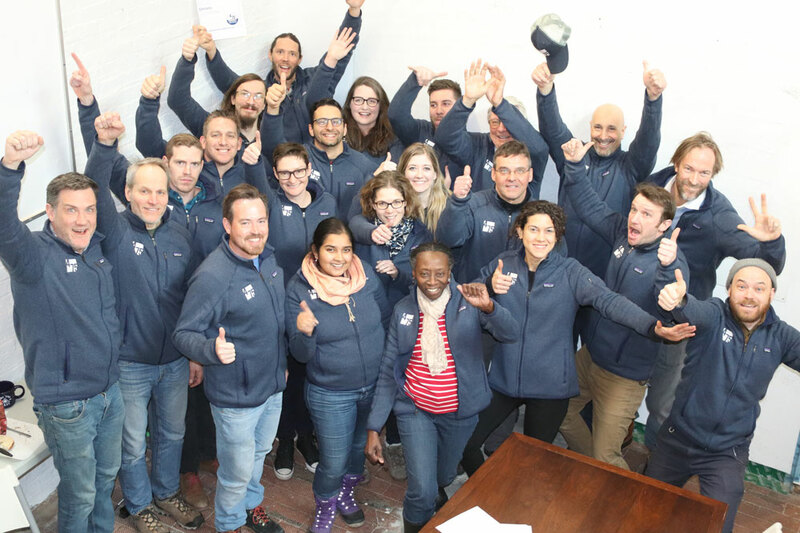 As part of our general environmentalism and sense of community one special event was Earth Day in 2018 when the HQ office staff took time to volunteer for the Gowanus Canal Conservancy. 2018 saw the relaunch of 475’s US and Canadian websites, including a French-language version for customers located in Quebec. Faster, easier to navigate the websites have a fast-growing library of product-specific and general building science information including videos, blog posts, CAD drawings and more. The building projects our amazing customers produce is where the rubber hits the road and year-after-year we are awed by what is built. In the process we learn as much from them as they ever could from us - and we try like heck to share those lessons with as many as possible - making a virtuous cycle of experience. To give a taste, here are just three of many, many amazing projects. Look Mom, no sheathing! Three Tree represents with a super-duper high performance home in Northern Vermont. Beer…..and Building! The Fourth Pig does a retrofit that hits all the Smart Enclosure marks. As we start 2019, like many make annual resolutions, we like to return to our reflections, our guideposts - rebellion, quality, collaboration, learning, teamwork and activism - first posted in 2017, help define a course of action in the coming year. Let’s build like the future depends on it. We look forward to working with you.